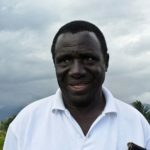 Zakaria Kenyaka is the International Rice Research Institute’s Senior Scientsist, regional plant breeder and training coordinator for East and Southern Africa. He coordinates IRRI’s capacity development, training and information management activities in East and Southern Africa. As a plant breeder, he is also involved in breeding improves rice varieties with superior grain quality, especially aromatic rice. He also represents IRRI and AfricaRice on matters with the governments of Tanzania, Uganda and Kenya.